Discussion in 'iPhone and iPad Games' started by alperiskender, Jun 14, 2018. Startup Grave is a solo card game with turn based battle system. Maya and her friends found a gate to the Earth to escape from the underworld but monsters of the underworld are not happy with this escape plan. Along 48 cards, we need to fight with underworld monsters that are trying to keep us from reaching the Earth. In this journey, prevent our health bar to run out and keep the monsters’ trouble bar low. You can either face the damage or challenge a monster to the battle. You can also be stronger in the battle by unlocking new cards using the points you win. Every deck gives you 4-5 minutes playtime and it's designed to be played everywhere easily. Also, engaging gameplay you are looking for is more rich with catchy music and stylish character drawings. 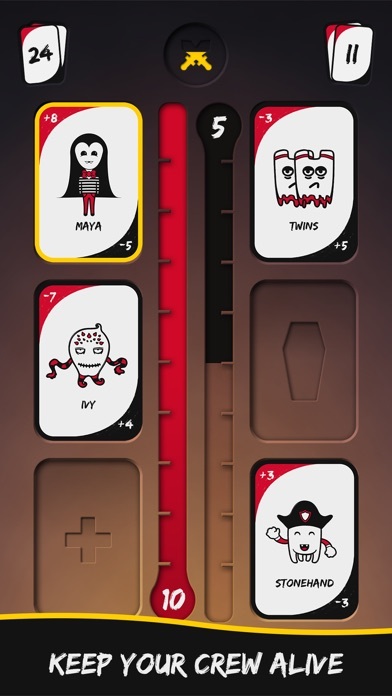 Startup Grave gives you one more time feeling whether you are an experienced card game player or this is your first card game. Let’s jump to your journey with Maya and her friends! Playing the tutorial now. So far a pretty good idea. I love solitaire card games that are not actually solitaire. You have four cards on ether side, some add life (blood) and some detract. 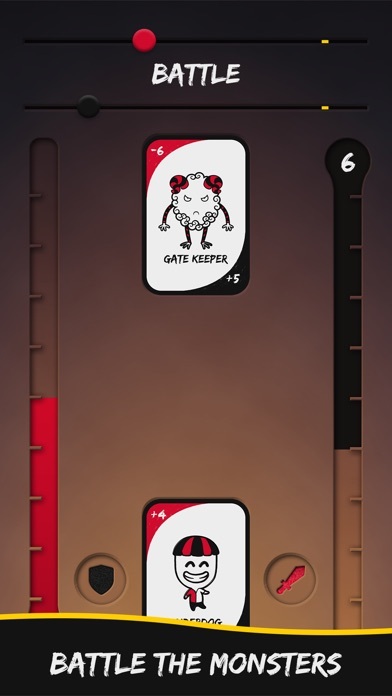 You have two open slots to save the cards to avoid a hit temporarily. 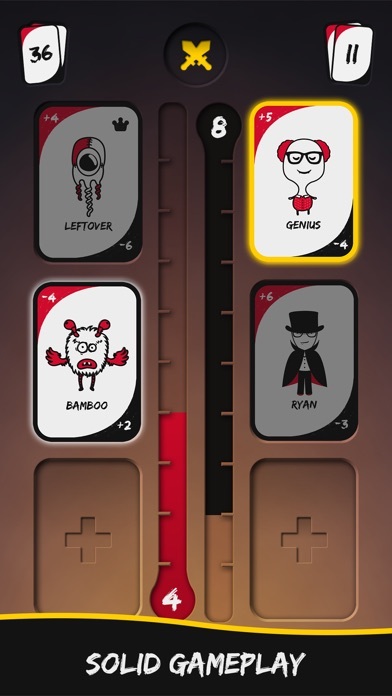 Each time you eliminate the four cards, four more are drawn until you get through the deck. When you’ve destroyed enough cards, you can set two cards to battle each other in hopes of destroying the shittier card? Son of Anarchy, ColeDaddy and Nachtfischer like this. Just bought it. Feels pretty fun. 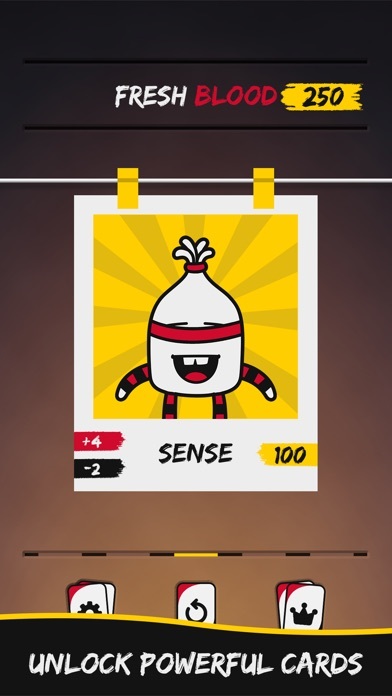 I keep losing at the last 4 cards, anyone has any tips and tricks about defeating cards? I’ve only won one game. Keep an eye on the black meter as well. Try and battle and take the hit on as many negative cards as you can to get rid of them up front. Save a+8 card in reserves too. I was keep fighting with Maya because she is +8 but apparently Underdog is lot faster so you can attack more. Thank you for your suggestions too . Hm... sounds a bit like Card Crawl. Is it sufficiently different to make it worth picking up? To be honest, Card Crawl is the king IMO, but if you like these types of solitaire games, it’s worth the $. Me too That was my main motivation to develop Startup Grave. Also, I'm glad you appreciate it! Except fresh bloods and some cards like Underdog or Nightcrawler, there is a reverse correlation between the attack power and speed of the cards. Oh, well that’s good to know. Thanks for the helping hand! Take It Easy - If you want to play with a deck that is in your favor, this level is for you. Always Ready - You can continue playing at this level if difficulty level of the previous version is ideal for you. Hang In There - If you are looking for a more difficult option, this level is for you. There is also a chance of winning 50% more points! Another feedback was that the costs for the 'Fresh Blood' cards were high. We have also reduced the costs keeping in mind that they do not disrupt the balance of the game. Redesign some of our user interface. 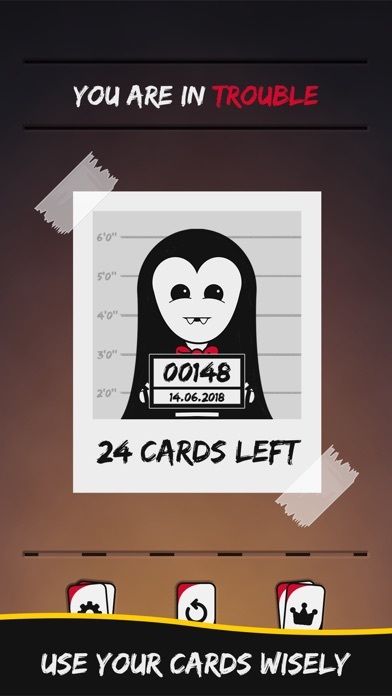 New theme, more appropriate for Halloween! Added restart option to the pause menu. Added new icon when fresh bloods can be unlocked. What new features are coming in the next update? Startup Grave just got a new update! Instead of playing with a single deck, keep playing until you die. Earn points by every card you used. Fresh Bloods will instantly destroy an enemy card from the playing field when used. Translated to Spanish, German, French, Russian and Turkish. Any feedback would be greatly appreciated. Thank you.